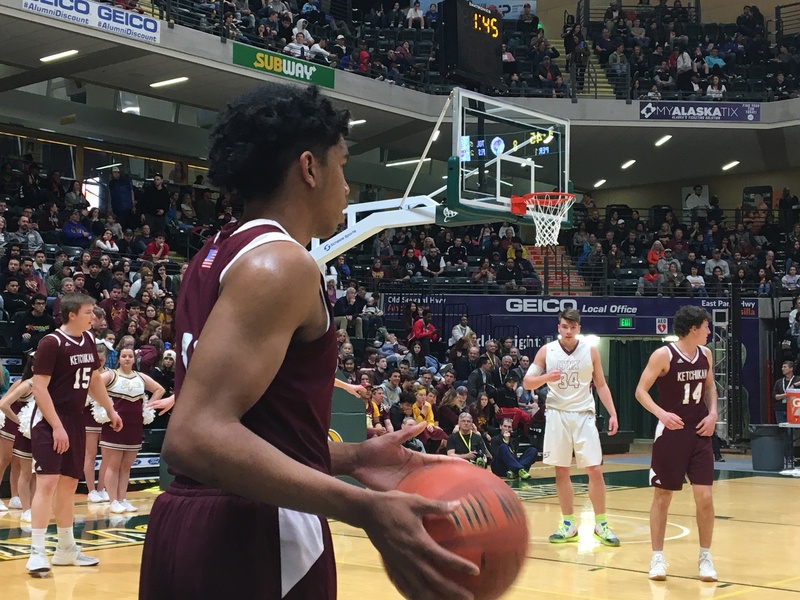 THE KETCHIKAN BOYS BECAME THE FIRST NUMBER 8 SEED TO WIN A STATE BASKETBALL TITLE, UPENDING NUMBER TWO SEED DIMOND 57-53 TO WIN THE ASAA-FIRST NATIONAL BANK STATE BASKETBALL TOURNAMENT SATURDAY NIGHT AT THE ALASKA AIRLINES CENTER. IT WAS KETCHIKAN’S FIRST TITLE IN 40 YEARS. IN THE CLASS 4-A GIRLS TOURNAMENT, DIMOND’S ALISSA PILI, A THREE-TIME GATORADE ALASKA PLAYER OF THE YEAR, SCORED 40 POINTS TO LEAD THE LYNX OVER BARTLETT. ANCHORAGE CHRISTIAN SCHOOL SWEPT THE CLASS 3-A TOURNAMENT, THE GIRLS COMPLETING AN UNDEFEATED SEASON AND EARNING THEIR THIRD STRAIGHT TITLE WITH A VICTORY OVER NIKISKI, AND THE BOYS HOLDING OFF VALDEZ TO WIN THEIR TITLE.